Date: Tuesday, Feb. 11, 2014, 1 p.m.
How does a small college in Indiana make it all the way to Times Square to compete against and defeat every college and university of every size in the country? 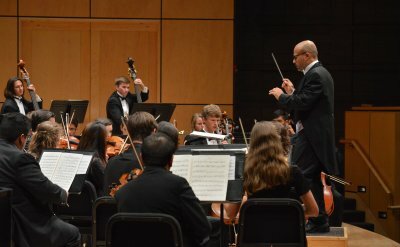 In the past three years, Goshen College’s student-operated radio station, WGCS 91.1 The Globe, has won Best College Station in the Nation twice, been named Indiana’s Radio School of the Year twice, named best station in Indiana and has won dozens of other station and individual awards. Jason Samuel, WGCS general manager, will share humorous and informative stories about the station during the Afternoon Sabbatical on Feb. 11 at 1 p.m. in Goshen College Music Center’s Sauder Concert Hall. The event is free and open to the public. 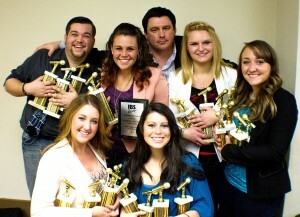 In March 2013, Samuel and a group of students who worked at the station traveled to New York City, where they beat two other colleges to receive the Best Radio Station in the Nation award for the second time. In addition to serving as general manager of WGCS, Samuel is an assistant professor in the Goshen College Communication Department. He received a bachelor’s degree from Goshen College in 1993, and a master’s degree from Indiana University-Purdue University Fort Wayne in 2010. WGCS provides 24-hour programming, including music, news, public affairs and sports. It features a fresh and eclectic mix of Americana, alternative acoustic, folk, singer-songwriters and world beat music each week. The station aims to serve the greater Goshen community with a distinctive and professional radio voice, as well as to extend the college’s core values, mission, programs and standards. WGCS’s community involvements include hosting a blood drive, airing local high school events, partnering with Ignition Garage to bring artists for local concerts and helping with Goshen’s First Fridays.